China’s oldest and largest winery, Changyu Pioneer Wine Co., is to build an international “wine city” in Yantai, Shandong province, at a cost of £600m. The project, covering an area of 413 hectares, will be home to a national wine research institute and wine production centre. It will also include grape planting areas, an international wine trading center, a European-style village, and two high-end châteaux. 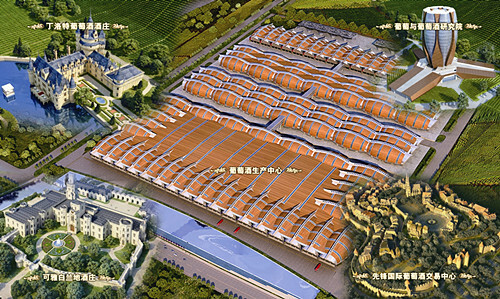 The wine production centre will cover an area of 220,000 square metres, making it one of the world’s largest wine and brandy production plants. The city – an amalgam of research, winemaking and tourism – is expected to be completed by 2016.